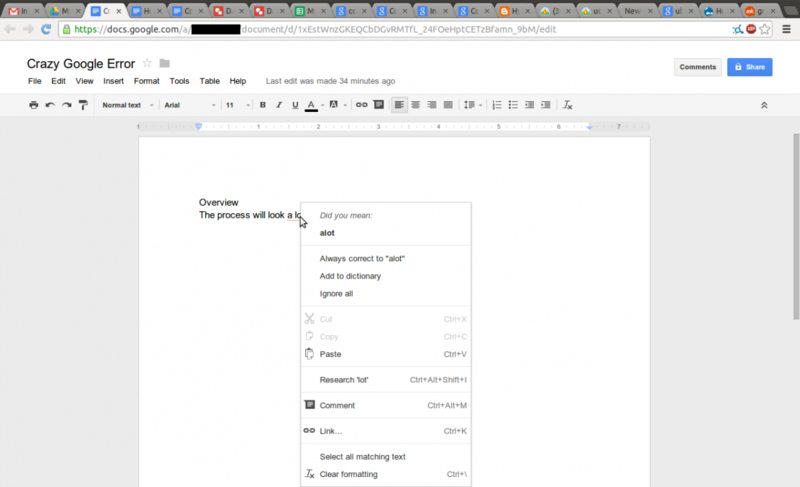 I encountered a strange bug while using Google Drive today--it suggested auto-correcting "a lot" to "alot." No google, I did not mean "alot." I never mean alot, and neither should you. Can someone fix this immediately?! I wouldn't have believed it if I hadn't seen it with my own eyes---google wants you to type like a texting teenager, #kthanksomglol. And here's the full google context for skeptics. This is likely a consequence of using empirical, user statistics. If google doesn't have some kind of prescriptivist grammar engine, but is rather using the same data gathered from search queries to power its auto-correct, we could be seeing the effects of billions of users searching for "alot of cat videos, plz." 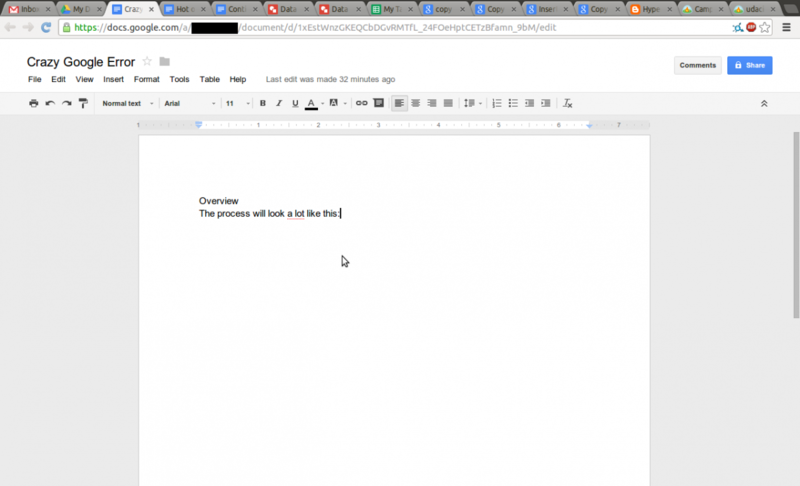 Google docs spell-check is still pretty new, and this bug is fairly undocumented, but I'm surprised all the same.